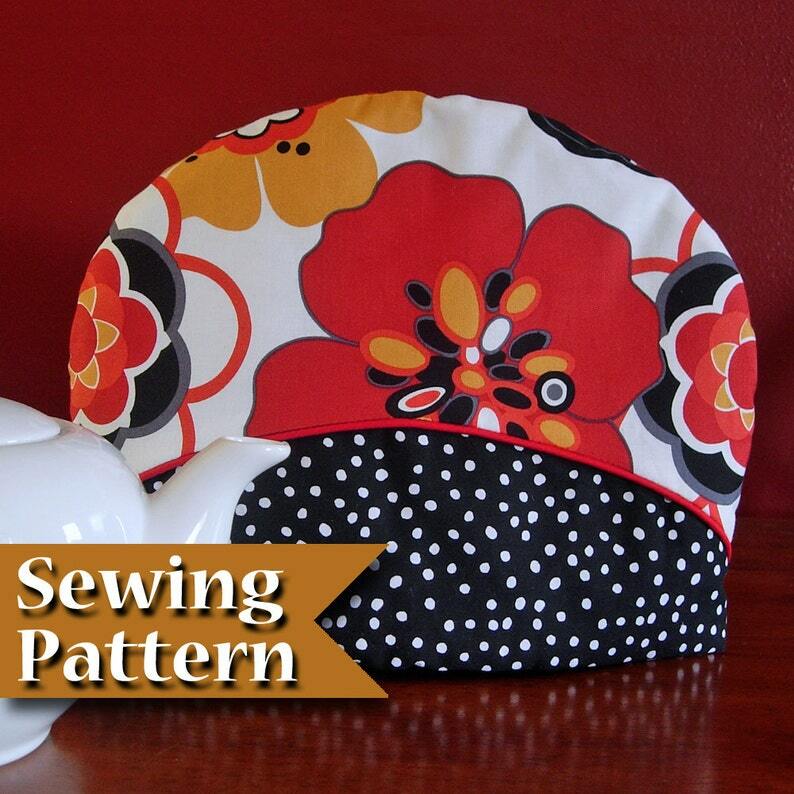 Teapot cozies are super cute and practical too! They keep your teapot warm while you chat with friends or have quiet time to yourself. You can make your own with this crescent design pattern to match your teapot or your kitchen decor or make one as a gift! Designed for beginners with some experience and takes about 2 hours to make. Computer generated pattern is easy to assemble and Newly-designed manual includes easy step-by-step instructions with over 40 photos and diagrams. If you're interested in a printed version of this pattern please contact me. •When purchased will available to you in PDF format after payment received. ••the second file is the same file broken into 12 letter size pages which can be printed on your personal printer and taped together. Clear, easy-to-follow pattern. I might have been able to figure out how to make a tea cozy myself, but I love having these clear guidelines for a more elegantly detailed finished cozy.